FUKUSHIMA - This is the second in a series on the Fukushima nuclear catastrophe based on the accounts of people who struggled to contain the crisis in its early stages. Job titles and ages are as of March 2011. The loss of power supply to secure the reactors at the Fukushima No. 1 plant meant workers had to race against time to contain the crisis in those early hours under dark and dangerous conditions. Debris was scattered everywhere and trucks were lying overturned, making it difficult to get around. A 9.2-meter-high fuel oil tank that had been tipped over by the tsunami of March 11, 2011, pointed to the magnitude of the devastation. One of the pressing tasks for Tokyo Electric Power Co. was to check the state of electrical equipment and find ways to restore the power supply. Kimio Ikeda, a 50-year-old electrical equipment expert, and three others mustered the courage at 6 p.m. to go and assess the situation. It was getting dark. No one had approached the area since the tsunami had hit. 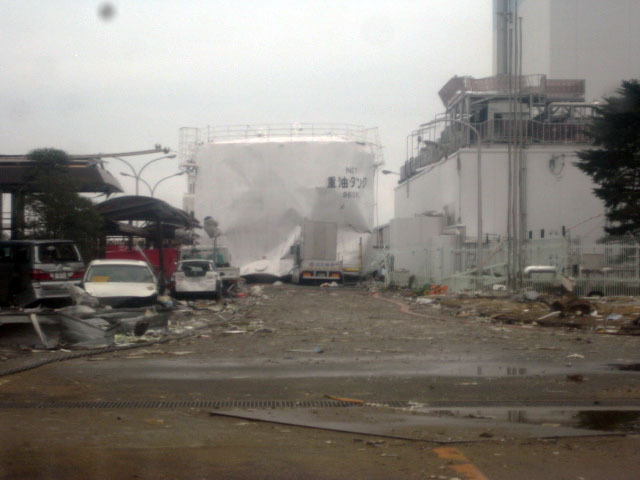 As they approached the reactor 1 turbine building, they found that the big steel doors of the large equipment service entrance had been crushed by the impact of the tsunami. Inside, the sound of dripping water echoed in the dark. All of the electrical equipment was flooded. But there was better news at the No. 2 reactor turbine building as one power switchboard still seemed to be functioning even though there was around 5 cm of water on the floor. 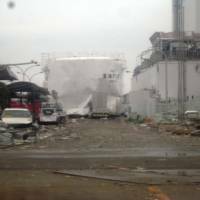 The only way to restore power was to connect the surviving switchboard with mobile generators, which Tepco’s head office in Tokyo was preparing to send. Other workers were trying to create a system to cool reactors using firetrucks, but only one out of the three fire engines at the plant could be used and workers also had to work all night to remove rubble and clear the way to get the truck into position. But by the time water-spraying operations began at the No. 1 reactor, it was already 4 a.m. March 12, about 12 hours after the plant had lost power. “Outside, there was so much radiation. It is amazing that they were all brave enough to do this. All of them came back contaminated,” recalled Hiroyuki Ogawa, the 50-year-old head of Tepco’s firefighting unit. To check the pressure inside the No. 1 reactor, a small generator used for temporary lighting was used. But workers were stunned when they found at 11:50 p.m. that the pressure of the reactor’s containment vessel had surpassed the maximum allowable level. At 11 p.m., the radiation level outside the double-entry doors of the No. 1 reactor building had reached as high as 1.2 millisieverts per hour. 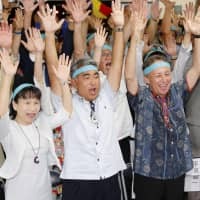 Hearing of the situation, plant chief Masao Yoshida quickly prohibited workers from entering it. By the early hours of March 12, reactor operators in the main control room for reactors 1 and 2 were exhausted. Big aftershocks rattled the room from time to time. Since workers in the control room could no longer remotely operate valves to execute the venting due to the loss of power, somebody had to go inside the reactor building, where the radiation level was rising, to manually open the valves. As workers had been able to confirm that the No. 2 reactor’s cooling system, which Ono had activated just before the tsunami triggered the power loss, was working, the focus of attention had turned to reactor 1. 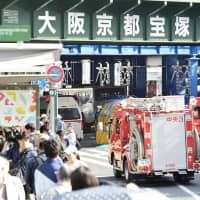 Although venting was deemed inevitable, Ikuo Izawa felt guilty when he told others in the control room that he had received instructions from the emergency response headquarters to select members to carry out the job. Venting was considered “suicidal” as it would involve a release of radioactive substances into the environment, an action that operators had been taught to avoid at all costs. 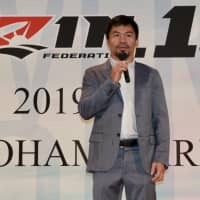 No one spoke a word — until other senior operators, who were supporting the efforts, volunteered one after the other, while telling Izawa to stay in the control room to manage the situation.